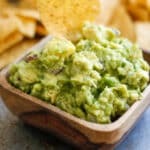 Just in time for a long weekend, this quick and easy Spicy Guacamole is perfect for snacking, topping your burgers, and possibly just eating with a spoon. 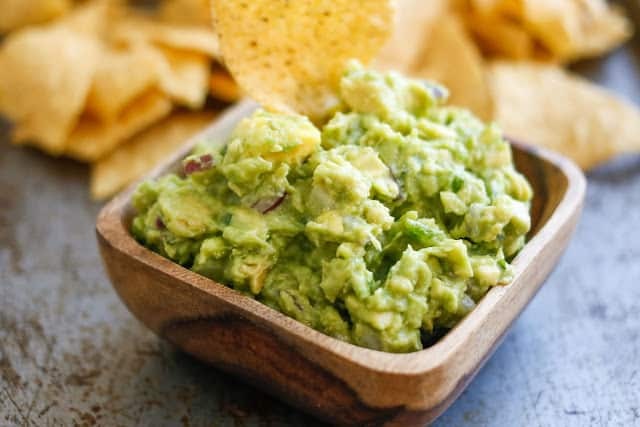 This Spicy Guacamole is a fun and very simple dip that I’ve made three times this month already. My spicy food lovers adore the added heat and I especially love that it comes together in less than ten minutes! 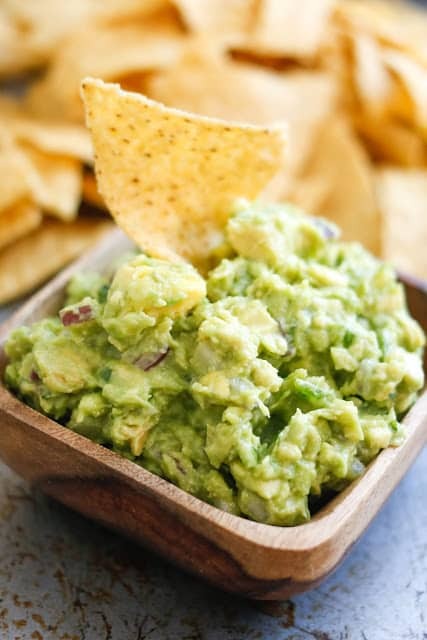 I finally succumbed to the awesomeness of guacamole a couple years ago when I tried this Roasted Garlic and Bacon Guacamole. I made it so many times that summer, I’m surprised my skin didn’t turn green. It’s truly fantastic. Since then, I’ve made guacamole a number of different ways and it has grown to be a favorite with our whole family. Peel and chop the avocados into 1/2" pieces. Lightly mash with a fork, leaving plenty of chunks. Add the onion, avocado, lime juice, salt, and pepper. Stir to combine and taste. Adjust the lime, salt, and pepper as needed. Serve immediately or cover tightly and refrigerate until ready to serve. Enjoy! If you don't plan to serve the guacamole immediately after making it, save an avocado pit. After the guacamole is made, place the pit in the container with the guacamole. This will help slow down the browning of the avocado. Remove the pit before serving. Pinned it. I might try fire roasting the jalapeno first just to add some flavor and tame the heat a bit. Love this.